Description: In the dark future of 2048, a criminal cartel of highly trained ninjas known as the Striders operate throughout the world. The youngest ever member of the elite-squad named Hiryu uncovers a conspiracy that will change the organization forever. Ah, the NES. Bringing back gaming from the horrible aftermath of the legendary crash of 83, the Nintendo Entertainment System became one of the only consoles on the market and the best-selling one for a substantial period of time. 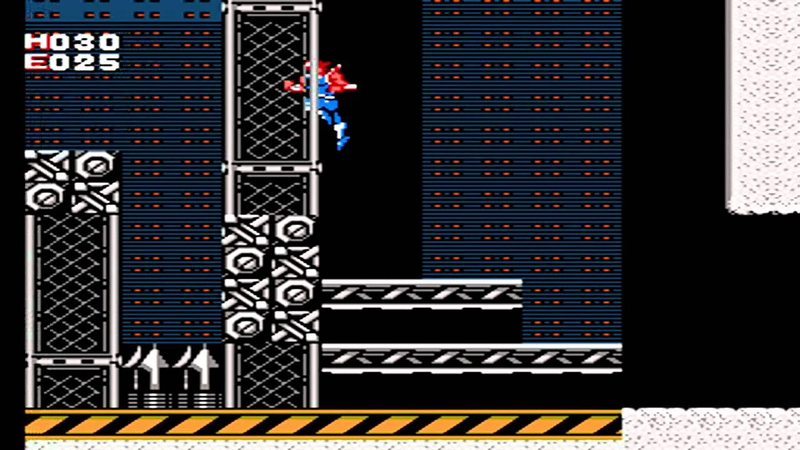 One of the superstar companies of the NES was Capcom, who created such well-known properties as Mega Man, Street Fighter and some of the best Disney games to date. 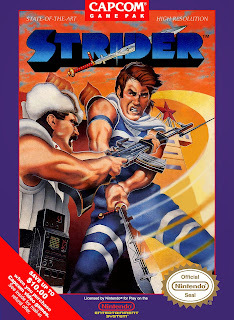 However one of their lesser known franchises is the action science fiction of Strider. 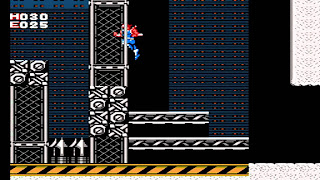 Strider broke ground at the time by being one of very few games that had much in the way of an actual storyline that wasn't just slapped together for the sake of convenience. Strider is a tale of aliens, ninjas and nefarious plots all centered around some kinda wonky but ultimately fun gameplay. 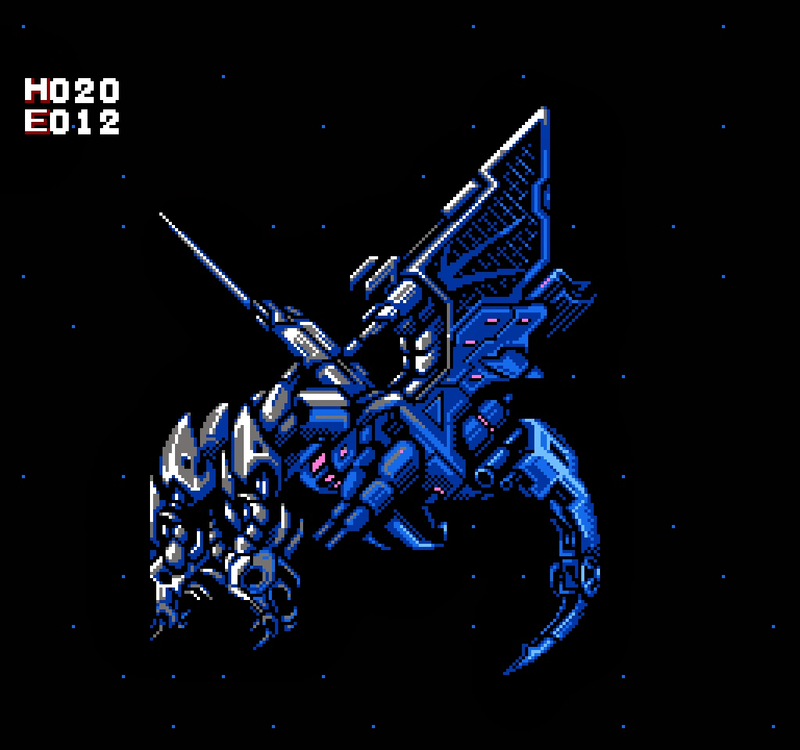 You take control of Hiryu, an expert in most forms of weapons use but with focus on the quickness of his blade. The designs of the game, while poorly animated even for their time are absolutely gorgeous. Monsters will look threatening despite their lack of movement and human characters will be simplistic but easy to tell apart. The game was released in tandem with a manga based on the storyline and you can tell that a professional comic book artist has been behind the designs as it takes cue from classic manga conventions of the era. The sci-fi setting, while not plausible at all is a least a little reserved from potentially going completely off the chain and just inventing all sorts of stuff that you could see no practical usage of. Hiryu will go around several locations in the world, from Australia to Kazakhstan. The music while a bit melancholic is designed to get you pumped for the adventure you're about to embark on. Capcom was an absolute powerhouse for video game music at the time and it is very present already when you listen to the title screen. The many different sets of locations combined with the many secrets to uncover sets the scene for a ton of exploration which is why the music being actually good and not too repetitive is extremely important. 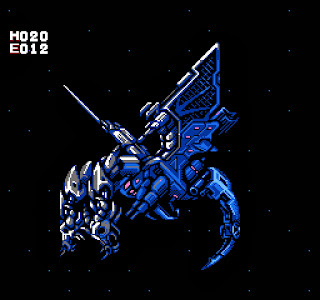 Thankfully it keeps the Capcom tradition through and through, the upbeat rhythm makes you pumped for fighting soldiers with your short ranged but highly effective weapon. The characters, while not fleshed out in the slightest are strangely enough compelling. I'd actually argue that the low amount of information we receive in the game speaks for the validity of this being a shadowy organization with little time for lengthy explanation. You do what you're told and you do it without question. The villains of the game works with an alien race known as the Zain, creatures that can take over the minds of others and make them insane. Their creepy designs really serve to make this backstory into a real threat worthy of our capable hero. While definitely aged, the story of Strider is a fun action/adventure science fiction that encompasses a game that could just have been a bunch of nonsense as was the norm for the era, which makes it a great little extra touch on an otherwise fun experience.